1. Liquid or powder highlighter? Always powder ! I haven't tried any liquid ones. 2. Cream or powder blush/eyeshadow? Both powder i don't really like cream based products. 3. Primer or no primer? Primer for an occasion where i want my makeup to stay the whole day. 4. 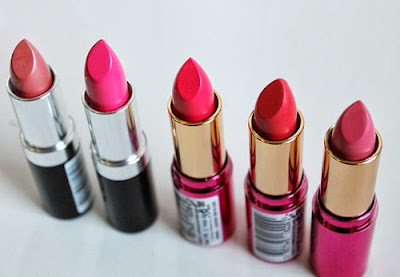 Lipstick, lipgloss or lip stain? Lipstick. 5. Eyeliner or no eyeliner? No eyeliner ! Im allergic :( 6. Neutral, smokey or colourful? Neutral 7. Bold or basic lips? depends on the occasion, basic for day and bold for night 8. Pale or tanned/bronzed? Tanned 9. Full face, one item or no make up? Full face most of the time. 10. Palettes or individual products? Individual.